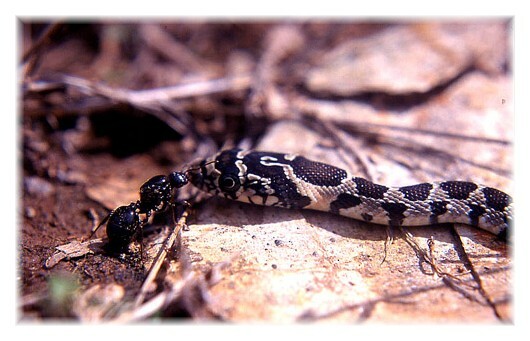 Фото "The snake and the ant"
Coluber hippocrepis lives in the southwestern corner of Europe and the northwestern part of Africa. Max. size is about 150 cm but adults are normally about 120 cm. It is one of the prettiest snakes of Europe. This is a juvenile and the common name is Horseshoe snake. That is indeed a very pretty snake. I really like the colors and details in the patterns.